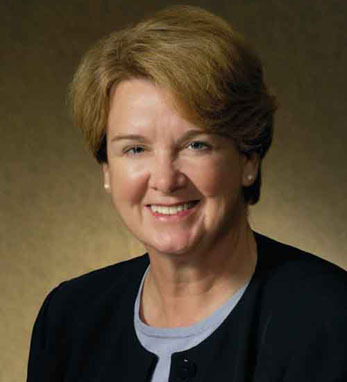 Joanne Maguire is executive vice president of Lockheed Martin Space Systems Company business area and an officer of Lockheed Martin Corporation. Joanne serves on the board of directors for United Launch Alliance and on the boards of two nonprofit organizations, Space Foundation and INROADS. Joanne assumed her current position in 2006. She previously served as vice president and deputy of SSC. Prior to joining Lockheed Martin in 2003, she worked at TRW’s Space & Electronics sector, now Northrop Grumman Space Technology. Joanne earned a BA from Michigan State University and an MA from UCLA. She is a graduate of the executive program in management at UCLA’s Anderson School of Management and completed the Harvard Program for Senior Executives in National and International Security. Joanne is a first-generation Irish American whose father, Michael F. Maguire, was born in Ballyshannon, County Donegal.